Last weekend I saw some delicious-looking asparagus at the grocery store and decided to come up with a creative way to use them in a recipe. I have never been a huge fan of steamed asparagus because I think it makes it too squishy; I really love the natural crunch that asparagus has when it’s sautéed. 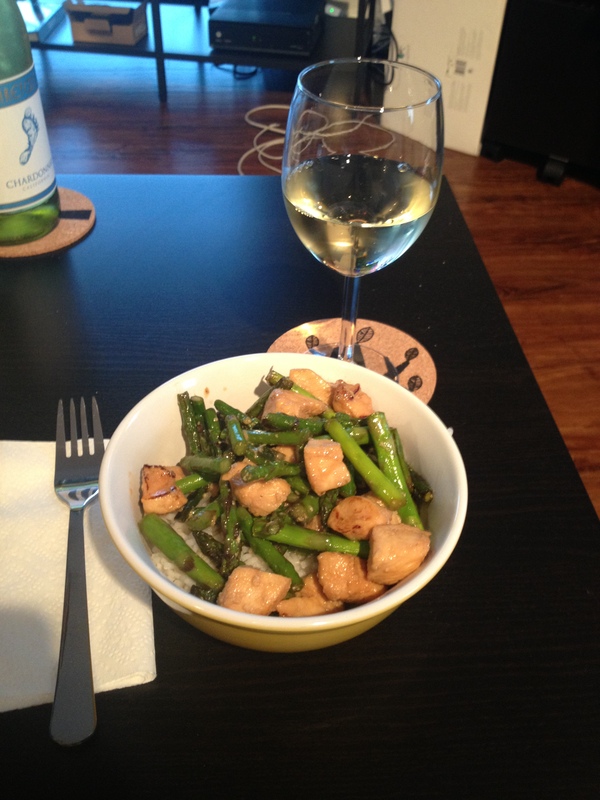 So, since I always enjoy an occasional Asian night, I decided on a simple stir fry with chicken, asparagus and rice. The result was simple, colorful, and nutritious; it was a great week-night meal with more than enough leftovers to take to work and school the next day. Remove chicken from marinade, and add to skillet. Saute until nearly cooked through (with the insides still slightly pink), about 5 minutes. Then add garlic, scallions, and the reserved marinade to the pan. Saute for an additional 2 minutes until the chicken is cooked and the garlic is fragrant. Remove from heat and stir in sesame oil. Serve immediately over white or brown rice. 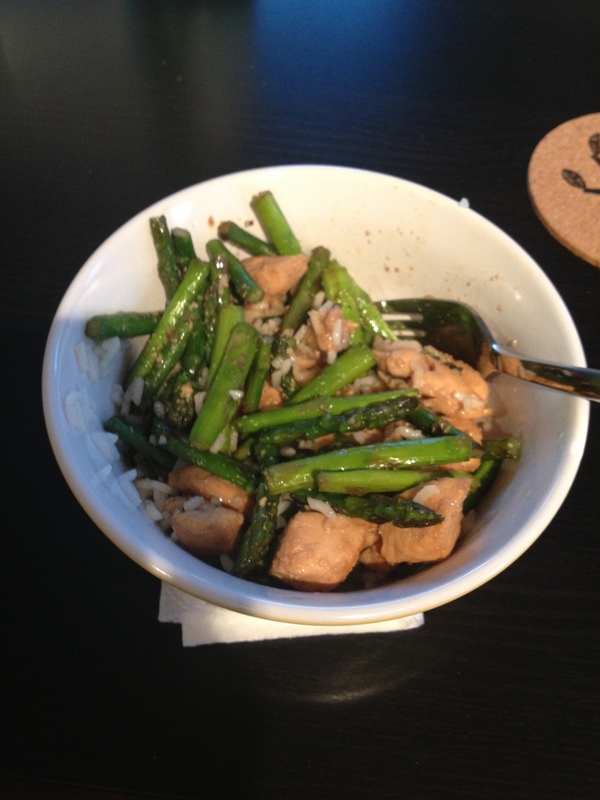 Posted on September 30, 2013 by Jilly G	• This entry was posted in Recipes and tagged asian, asparagus, chicken, rice, soy, stir-fry. Bookmark the permalink.